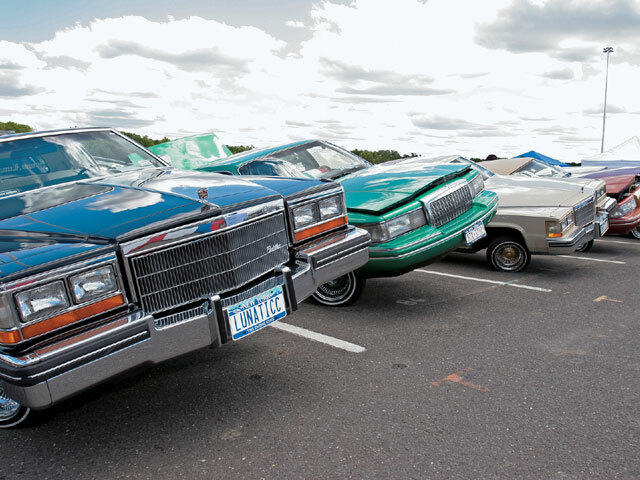 The East Coast's Love For Lowriding Continues To Grow At Annual Garden State Event. 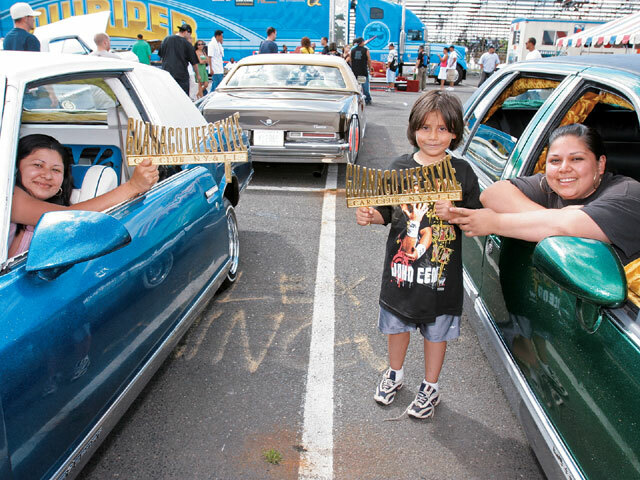 The Lowrider Magazine-sanctioned Summer Slam in Englishtown, New Jersey’s Old Bridge Township Raceway Park was once again on for the first weekend in July and it made a lot of East Coast lowrider fans happy to be alive. The Garden State sun was shining and the cumulus clouds were floating cotton in your wheelwells on both days. Saturday was quiet, but Sunday did pick up and the cars rolled in and out as they always do. 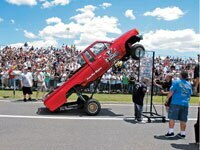 The Hop contest consisted of five cars, but the crowd enjoyed the show that everyone put on nonetheless. Rob Robertson brought out an arsenal of cars and was the big winner of the day for his efforts. Driving all of the way from Indianapolis, Indiana, Rob was also the crowd favorite, hopping and flipping his way into the crowd’s heart. Afterwards, Rob could be found signing autographs like a rock star at the end of a concert. 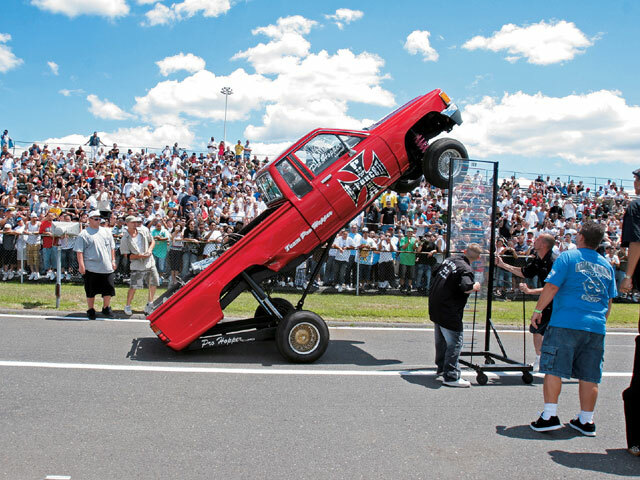 Daniel Davis came out and gave it his all, as did hometown favorite Ken of Ken’s Kustoms. Ken brought out his newly completed dancer, christening it at the event, and also handed out T-shirts to the crowd. 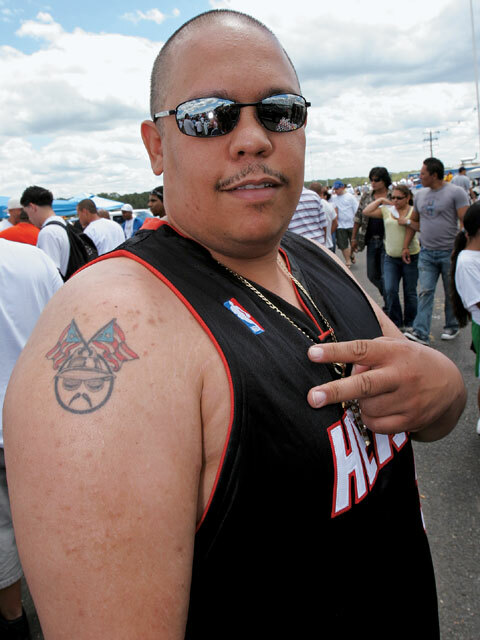 All of the usual suspects showed up in full force, supporting the show and the movement in the Tri-State area. Guanaco Lifestyle, Hard Hittin’ Lowz, Individuals, Low Only, Loyalty, Lunatics, Majestics and Supreme Familia Car Clubs, just to name a few, were making their presence felt. 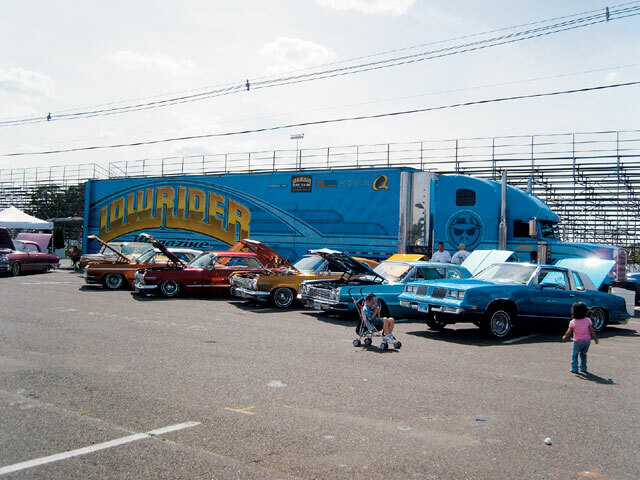 The smell of racing gas in the air and cars going down the drag strip set an unusual backdrop for one of the largest gatherings of lowriders in the East. Imports were everywhere with Scions making a strong showing, but the cars that had everyone looking were certainly the lowriders. 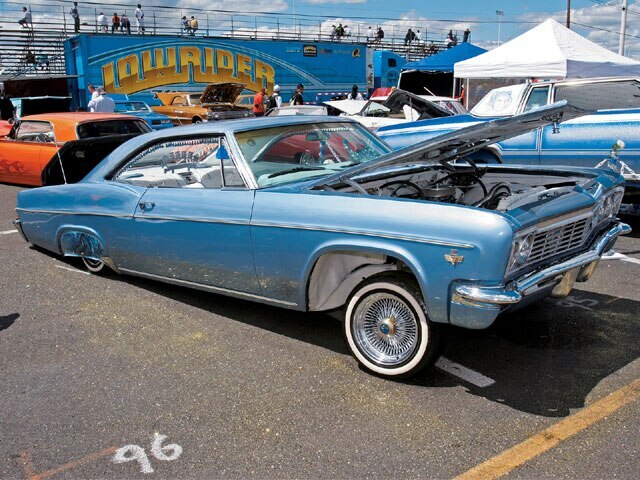 Every year, we’re thrilled to see the quality of the cars coming up and the East Coast lowrider community getting stronger and stronger. The hunger that lies in the Tri-State region is one to be reckoned with and we see nothing but good things coming up. 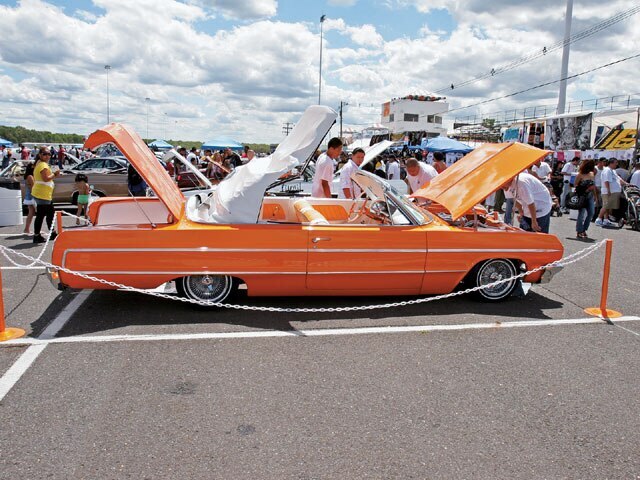 The installs are becoming tighter and cars like Jon Waite’s clean orange ’63 Chevy Impala debuting at the show put everyone on notice. 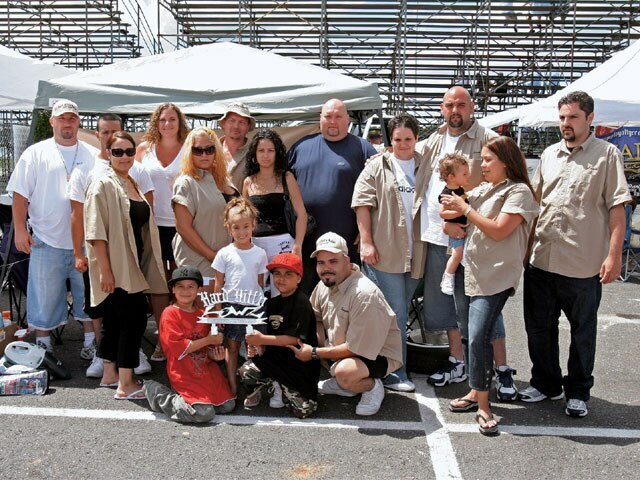 This car showed the judges and us what promise lies here, and for all of his efforts he won Best Domestic. 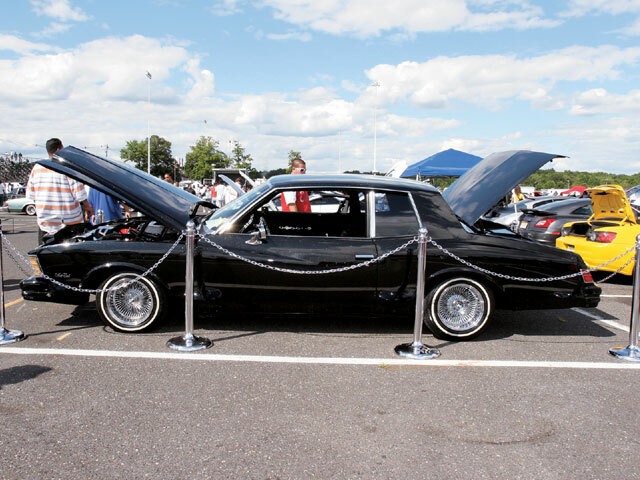 Abe Hernandez brought out his Olds Cutlass and as usual wowed the crowd and the judges. At the end of the day, the crowd and the lowriders at Summer Slam appreciated this show more than ever. 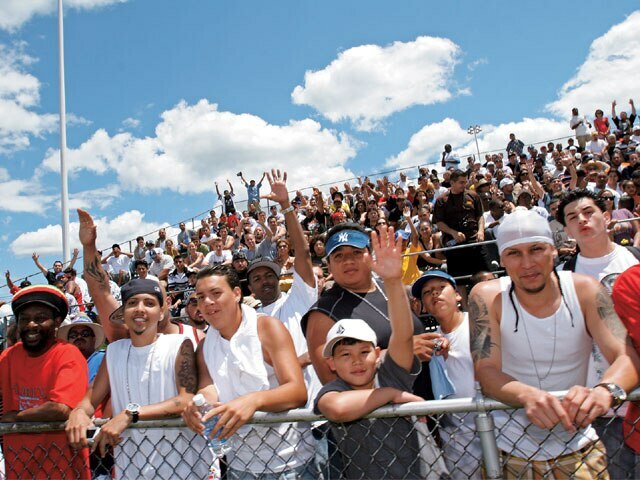 We’re certain that the Englishtown event will will continue to grow and flourish.